Ok, this post has taken me a long time to put up .. but it’s finally done. 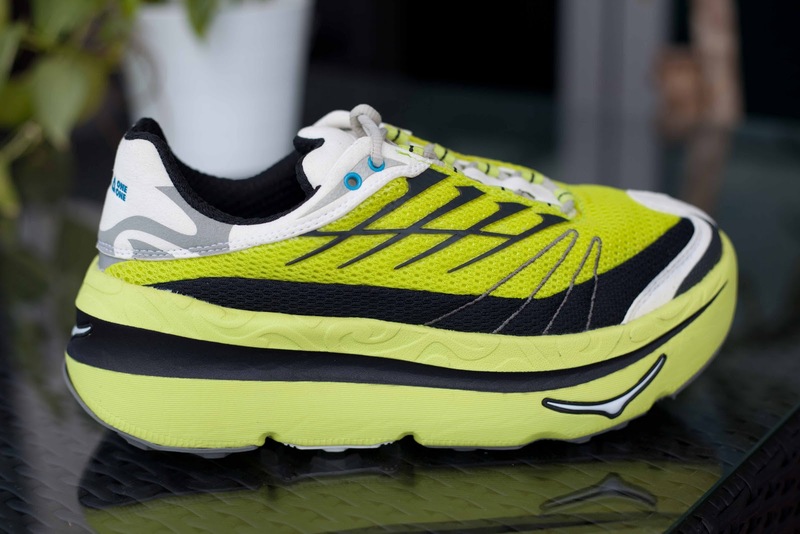 I’ve been trialling Hoka OneOne shoes since November last year, and here’s my two cents worth. I had a pair of Mafate, Combo XT and Bondi B on trial, and reviewed the Mafate for August Man magazine in December. 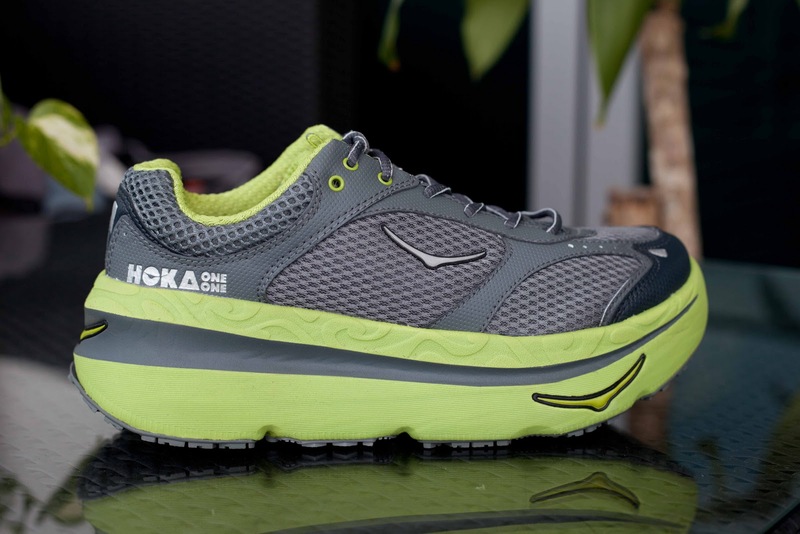 The Mafate is the trail shoe from Hoka OneOne, whilst the Combo XT is their ‘cross running’ shoe, which just means that it’s aimed at runners on mixed terrain (road and trail). I’ve mainly been running in the Bondi B, which is a road shoe, but seems to cope fine on the Macritchie trail. The Bondi B has the narrowest fit of the three models so that’s my main reason for favouring it. I’ve had runs in all three and my review is based on the general concept and technology of these shoes. When you see a pair of Hokas for the first time, they look massive. With the current fixation on minimal shoes and barefoot running, the Hokas buck the trend and take shoe technology to the opposite end of the spectrum. 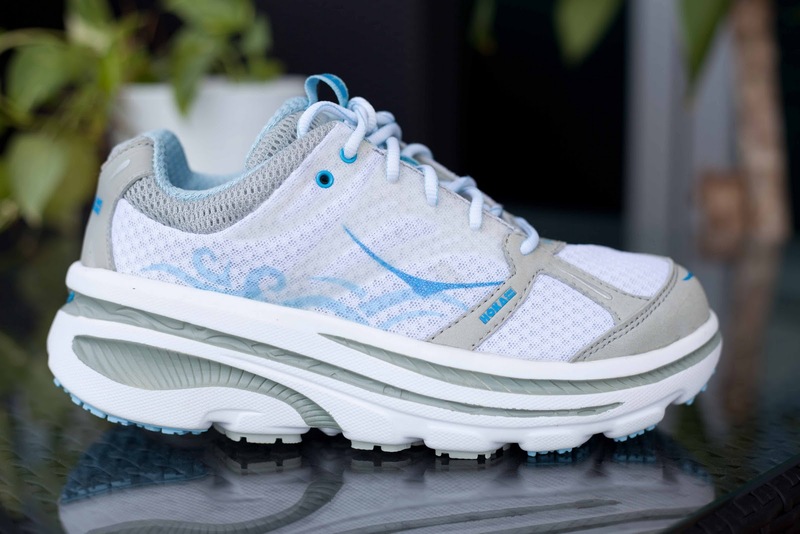 On the website, Hoka provide an explanation of the key technology concepts with their shoes. The key words from Hoka are Rolling, Oversized, Control, Stability, Grip and Lightweight. The shoe is designed with a “50% rockering profile, which is meant to provide a unique rolling motion to deliver superior underfoot performance”. Whilst this may sound like a load of hype, right from my first run in the Hokas, the rockered profile made me feel like I wanted to keep moving forward. There certainly is a rolling motion that takes some getting used to, but once you do, it feels good! It really does propel you forward and that can’t be a bad thing unless you’re trying to run backwards! Looking down, my feet look massive, and I’m worried about exacerbating my natural propensity for clumsiness in these clown shoes. Once I’ve started running, I forget about how big these shoes look. They are very comfortable and deceptively light for their size. I’m bouncing off stuff and purposely running over rocks and branches and taking a line I wouldn’t normally take it I had my normal shoes on. These shoes are serious fun! 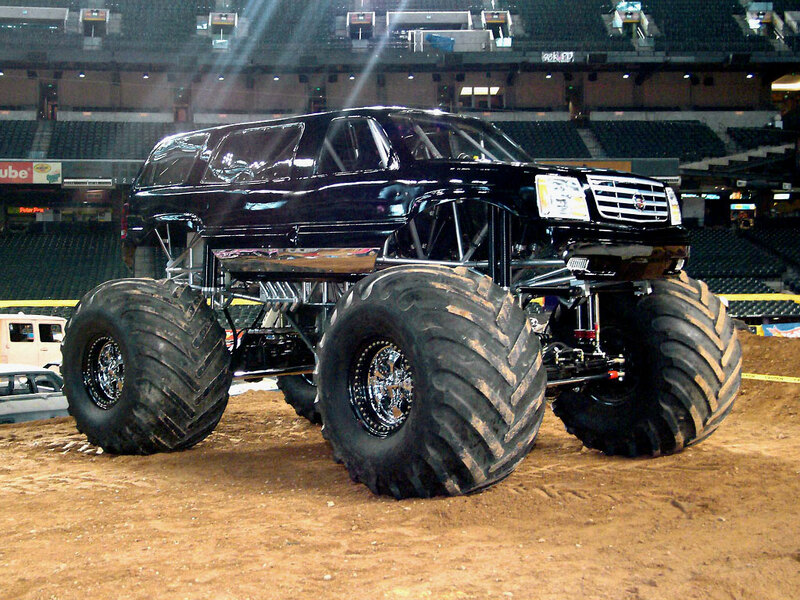 It’s like monster truck running .. I feel almost invincible in the Hokas, like I could step on anything and it’d be fine. 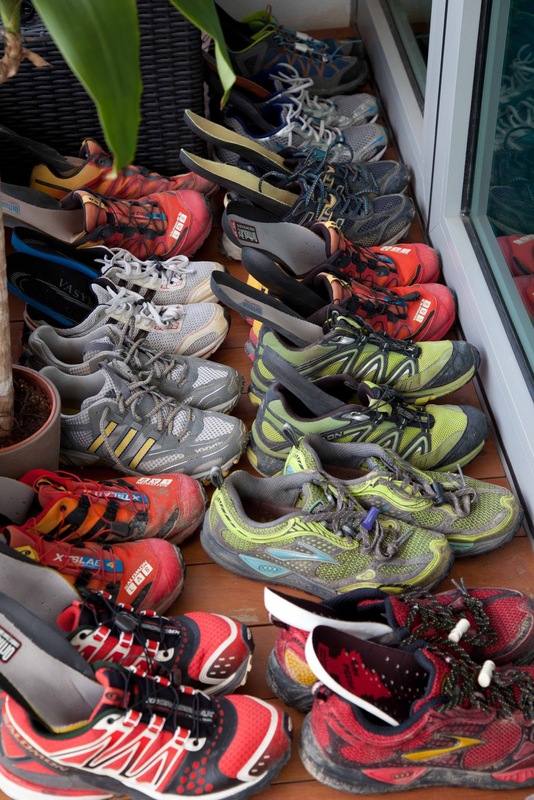 They provide a great deal of enjoyment on a trail run in particular, and on the road they boost the comfort factor sky high. Hoka OneOne is the monster truck of running shoes! I had no hot spots of chafing with the Hokas even on long runs, no real complaints at all. They are very comfortable to run in, and grip pretty well in the wet or dry. I have to say I really enjoy running in the Hokas, especially downhill. I could bomb down the trails like my pants were on fire without worrying about the impact on my knees/ankles/etc. And the best part? Significantly less fatigue after long runs. Seriously, I’m not kidding. These are great shoes, and the bonus of reduced fatigue is something that can’t be ignored. My legs felt less tired after a long run in the Hokas and I ran better the next day as well. Bottom line, I don’t have any grievances with the Hokas .. apart from maybe they make my feet look like Ronald McDonalds .. but that’s nothing to do with their performance. They are a little on the pricey side .. about $290 for a pair, but they’re meant to be very durable, and for the comfort, reduced fatigue and enjoyment they provide while running, that’s not a bad deal, really. I’ve come to like the Hokas a lot, and find myself choosing them over all the other shoes I have at my disposal for training runs. So many shoes, so little time .. I wouldn’t be averse to running ultras in them either, but the best fit for me is the Bondi B (currently the smallest size available in all models is UK7.5) and as a road shoe, isn’t suitable for the trails I race on. For shorter races I still prefer my Inov8 F-Lite 230s (review coming soon too! ), as I think psychologically I still feel the Hokas are a little clumsy (in terms of size) to run fast in. Of the three Hoka models, the Combo XT is my favourite, but I’d need a smaller size (it’s a unisex fit) for it to fit right, especially for longer runs. The width is between the Bondi B and the Mafate, and would suit most runners. The Mafate is generously sized and would also suit runners with wide feet. For a trial or sales contact Jennifer Lee (+65) 9765 2278, or email SgpEastCoastTrading@hotmail.sg. Oh My, so many shoes… where are your Manolo's and Gucci's ?? LOL ! nice meeting you at today's running event with Anton.